Christmas is one of the most important religious holidays in Poland, with Christmas Eve taking precedence over Christmas Day. But Christmas preparations begin four weeks before Dec. 24 with the start of Advent. In the old days, people fasted for Advent, homes were cleaned from top to bottom, grudges were forgotten and the birth of the Christ Child was eagerly anticipated. 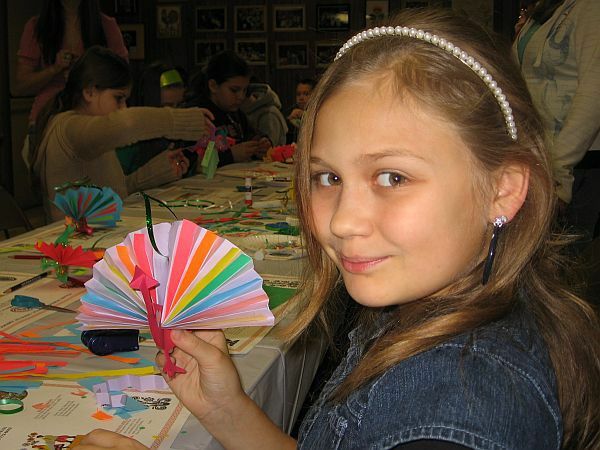 The Polish Museum of America in Chicago also offers a Christmas ornament-making workshop for children and adults. Paper-cutting and folding techniques are used to make beautifully colored garlands, stars, peacocks and other whimsical designs commonly found on a Polish Christmas tree. St. Nicholas Day, Dzien Świętego Mikołaja, falls on December 6th and it is the unofficial start of the Christmas season in Poland, even though Advent, which usually begins a week before, is the official kickoff. Good children receive fruit, nuts in the shell and honey-spice cookies, and bad boys and girls get a lump of coal. The highlight of Christmas for Poles is wigilia or Christmas Eve with its beautiful Star Supper. In the old days, the men of the household would head to the forest to cut evergreen boughs to be placed over mantels and doorways, and a treetop to be hung upside down from a beam in the living room. Not a morsel of food is eaten before the first star in the sky is sighted. But before any feasting on the meatless meal can begin, the breaking of the oplatki, Communion-like wafers, must take place. Then, an odd number of courses are served, anywhere from five to 13, depending on the wealth and preferences of the family. Many Poles in the United States have never had the pleasure of experiencing a wigilia dinner, or at least, not since they were children. The Polish Museum of America in Chicago holds several wigilia dinners to give people the opportunity to get in touch with their Polish heritage or to introduce people of different ethnicities to Polish culture. Every year, the city of Kraków holds its creche competition for the finest and most beautifully rendered evergreen or crib in the land. The finest examples are exhibited in the city's Museum of Ethnography and the others are sold at the fabulous Christmas market. These creches are like no others you've seen. The Feast of the Three Kings or Trzech Kroli on January 6th is the official end of Christmas. Decorations are taken down, "K+M+B+" is inscribed above doorways with blessed chalk, representing the initials of the three kings, and a king cake is served with a lucky coin baked inside.